So our insurance company wants an appraisal of our '63 Riv. Any experiences with appraisal services and cost? I got the names of some local appraisers from....... wait for it........my insurance agent. Well...we asked our agent and they said....they have no contacts and no idea...so...I thought to pose the question. I'll go look at the Hagerty process. Hagerty will let you set the value yourself on what you think you car is worth . Obviously the higher you set it, the higher the cost. I have several vehicles insured with them and have compared prices with others and no one can beat them . Their service is second to none IMO . I also have the roadside policy which I have used 2 times saving me big $$$. Highly recommend you checking them out to see if they meet your needs . + 1 on hagerty. I have 6 cars insured (I think) with them. Losing count. ? I have five Rivs on my Hagerty policy, ranging from '65 to '99. They do insure for agreed value, as Ken said, and obviously the higher the value the higher the price. One of my '65s is covered for $15K and one is covered for $25K, they did ask how much I paid for that one, it was less than that, but they covered it for the value I put on it anyway. One thing you need to verify with them is the miles allowed per year on your policy. They were going to set mine lower than I wanted it, but they adjusted that on my request. None of mine get a lot of miles, I just wanted to be sure I would not exceed what was on the policy. I can't say anything about their service for certain, the only dealings I've had with them is paying my bill so far, but from what I have heard they are a reliable classic car insurance company. I use Hagerty and generally when I add a car to the policy all they want to see are some photos. Quite a few years ago I wanted to add a `66 MZ car to my policy and they would NOT insure it for the requested amount. They claimed their underwriters would not recognize the value I placed on it. 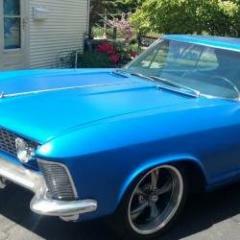 Keep in mind there were no comparables or auction values for a`66 MZ car at the time. Maybe things are different now? I'm through Hagerty as well and you basically set the price to what it would cost to replace the car - and I'd recommend including any extra cost you think you might have to go through since parts aren't exactly readily available. The cost difference for even a few grand extra is really minimal. They know their market - cars they ensure are typically someone's baby, and as such they tend to be cared for better than a daily driver. Plus the fact that an older car would typically not be driven that many miles, the odds are in the insurance company's favor that you won't need them because of an accident. Insurance is all about odds and statistics. +1 on Hagerty Insurance also. Their rates have gone up about 5% annually but my value on my vehicles has been increased annually also. They are still a good value in my opinion. Same here. All my Buicks are insured through Hagerty. But fortunately I haven’t yet had to file a claim. For those of you who have your Riviera insured with Hagerty but its still "under construction", they'll insure it for comprehension only. No need to buy collision insurance if it's not drivable. Changing topics since I've found some Riviera folks!!! 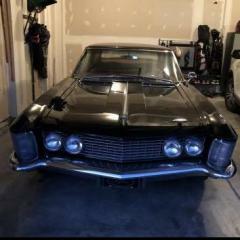 I'm the former owner of a 64 Riviera and am currently looking to purchase another 64' Riviera for sale in Texas from a dealer called TripleFAutomotive. It appears the original owner may have been a member of the Riviera Owners Association as the car has a window sticker and a tag hanging from the dash. I'm trying to find more information about the car. It appears to be well taken care of and all original (minus aftermarket cruise control) I've researched and requested additional photos on the Fisher Body plate, engine code stamp and transmission. It appears to be a numbers matching vehicle. Something weird is going on with the odometer. The odometer almost looks like it's been tampered with or the numbers are faded on it. Just weird. If anybody knows this Rivi....fire away!! That is a lot of money for a car without air conditioning. 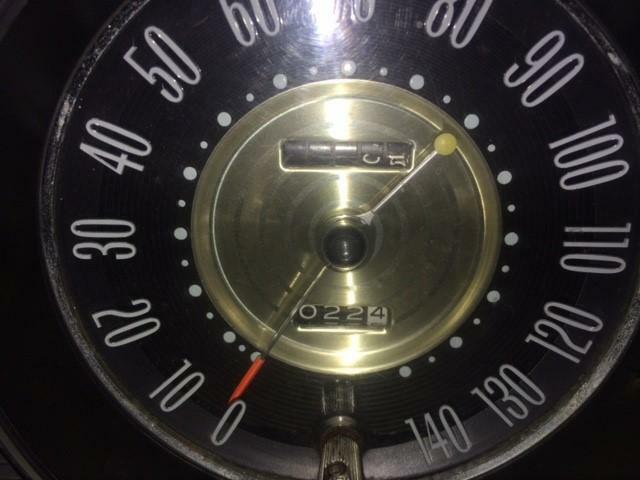 I don’t see your problem with the odometer as it is only likely to be how the photo has been taken. Maybe there is someone living near the dealer that could have a look for you. Good luck. Welcome to the forum. Once a thread has been posted it's usually not reread unless you have an interest in it. Much better to start a new one so that everyone will see it. The seller is stating a lot of info about the car that is standard equipment, not options. I've added notes to the right of such items. Don't be paying extra for something that every Riviera is equipped with. The seller is just that; a seller. By no means a well informed one. As stated above, lots of money for this car. Offered at $32,995 - WOW! Thanks gentlemen for the input, glad to know there are helpful guys out there. @ Rivinut, I'll be sure to start a new thread next time. I have no intention of paying the price listed and we've discussed a price that is several thousand below list price. I'm more interested in the fact that it appears to be a clean, mostly original 425 Super Wildcat which was limited production for 64' and that it was a number matching vehicle. @Rivinut....you are absolutely correct....these are not options, but standard. My previous 64 had many more options and was an AC car, but I had issues with the AC and found it to be more problematic than it was worth....granted they bring more money. I've also corrected the dealer about the claim of the steering wheel and actually desire the wood wheel. 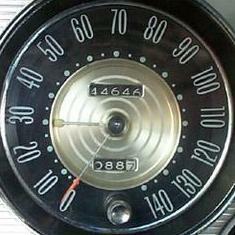 Attached is a picture that I had the dealer take for me of the odometer for me. I've just never seen anything like this. I'm not so much worried about the actual miles as I am about if something has taken place behind the dash in an attempt to alter the odometer. 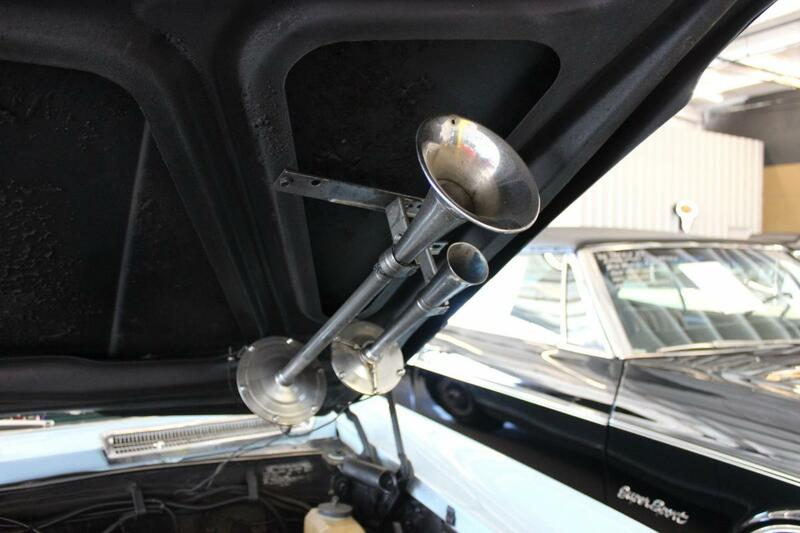 @Steelman....are you stating that the 4 note horn is no original??? I knew it was an option, but wasn't aware of any specifics beyond that. So I assume by everybody responses, that nobody is familiar with this vehicle. I believe the gentlemen who owned it was Raymond B. White. I believe he was the member of the ROA. @ Rivinut, I'll be sure to start a new thread next time. You might still consider doing it this time; you'll get a more views. As mentioned a high price for a no AC car. Plus the color isn’t for everyone’s taste. Just my opinion but this looks like another dealer fishing for the “right guy” to come along. Usually the ones that pay these prices are out of the country buyers who put a premium on buying a car from a business rather an individual. They perceive the transaction as being safe and the car being in good condition because it’s sold by a dealer. The used car manager at Don Stein Buick in Overland Park, Kansas was a friend of mine. Tom told me that the unofficial motor for his sales force was "There's an a$$ for every seat." All you need to do is find it. ?